Service Parts Logistics (SPL) is very proud to provide all Katun products for Africa and the Middle East. We stock all Katun toners, inks, spares and service parts. We’ll have the items the rest of the market is unable and unwilling to provide. 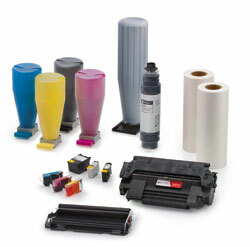 We stock dozens of Katun LaserJet Cartridges and Katun Toner for Kyocera, HP, Minolta, etc printers. Please contact us today for your Katun toner, ink and spare parts needs by filling in the form below. We specialise in providing parts in a hurry – and we sure do have a great range. What printer do you need toner for? SPL offers a full 6-month warranty on all Katun toners sold. We are 100% confident that you will be fully satisfied. Enquire for more details.